Among the 7,107 islands of the Philippines, one island destination definitely stands out as the most famous and most visited by tourists local and foreign alike. It is none other than the beautiful island of Boracay, known for its sugary soft white sand, a wide coastline and a perfect beach destination. But little did know that this island has more to offer. Boracay island is a small island off the northern tip of Panay island in the island group of Western Visayas in the Philippines. This island has an about 4 kilometer-long white sand beach on its southwest side where different hotels, resorts and commercial establishments line up the coastline. Each resort offer different water sport activities like para-sailing, jet skiing, and even scuba diving. On the north eastern part of the island is a bit rougher as it is lined with coral reefs, caves and strong waves. Within the island, there are golf courses and also waterfalls. On March 20, 2006, my wife, myself and 4 other colleagues purchased a travel package to Boracay. We took advantage of the PALakbayan promo released by Philippine Airlines during that time. The package we got was for 3days/2nights stay at Sun Village Beachfront Resort. 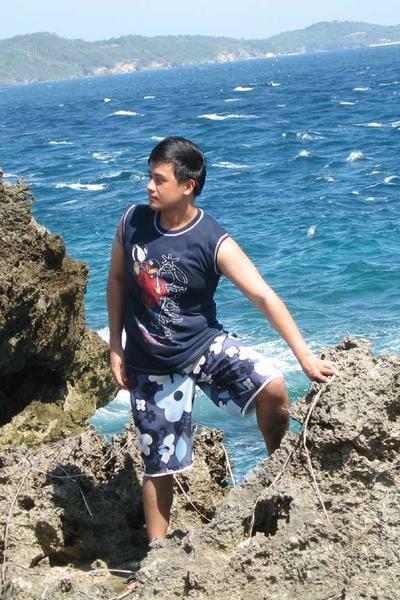 Posted in Aklan, Asia, beach, Boracay, island, Philippines, resort, spelunking. Tagged beach destination, best beach in the world, Caticlan, More Fun in the Philippines, most beautiful tropical island, puka beach, puka shells, Visayas, white sand beach.